The responsibility of tracking an organization’s IT service commitments often fall to finance. Though most finance personnel are unfamiliar with the services purchased or their continued need. With the IT trend toward cloud and network offerings, finance teams find themselves unable to track and identify this growing waste. MISO bridges this divide by providing advanced visibility to finance with easy input from IT. Say goodbye to the "Set it and Forget it" mindset and hello to MISO Smart Events. MISO creates a timeline and course of action for upcoming decisions months in advance. 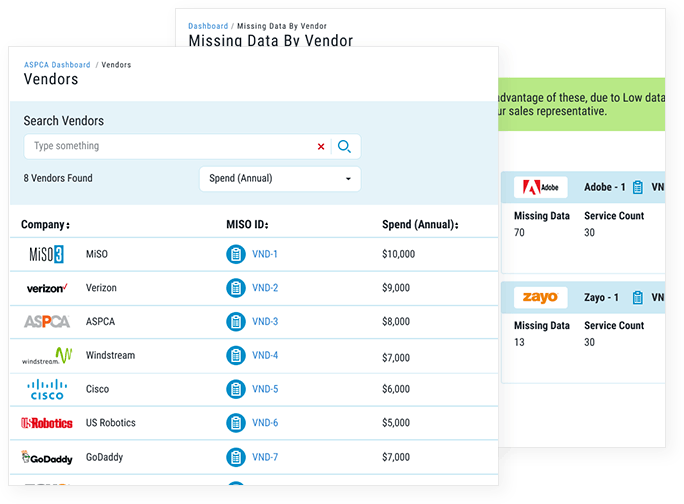 MISO has the most advanced search system in the spending analytics industry. Sort all services by location, product, vendor or even by associated equipment. Then, identify upcoming renewal events, investigate current market rates and request new quotes from existing and alternative vendors. 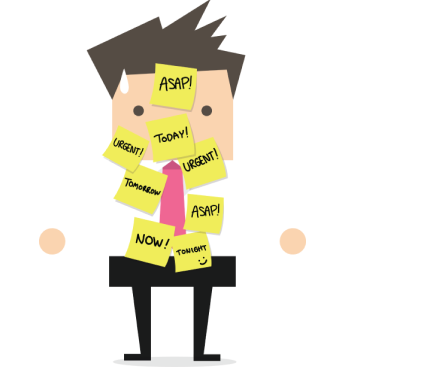 MISO makes these tasks both simple and effective. 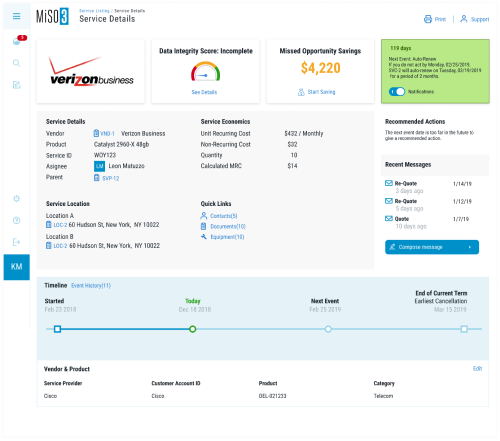 A MISO Data Integrity score is created for every service. If this score is low, there is not enough information to make an economic decision on that service. 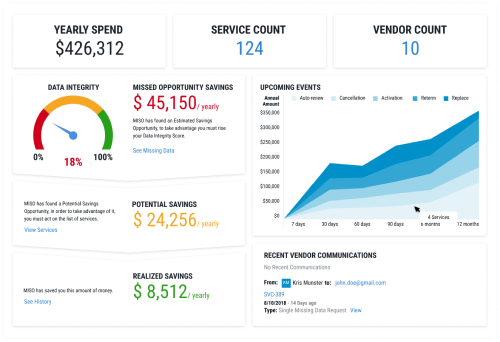 Gather the data with poor scores and send a report to your vendor for completion. See savings potential on upcoming events using an estimate from MISO on the market value for that service. 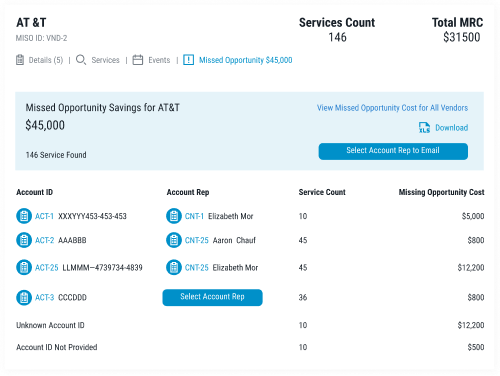 At the end of a service lifecycle, MISO actions are available including a one-click request for lower pricing from your existing vendor. IT expenditures have increased year over year while transparency into spending has decreased. Average waste for business of over $1M in IT cost. The cost of unused software for businesses. Average annual telecom cost reduction. Finance teams currently have access to backwards looking software. Tying in MISO to your process, will give you foresight in savings potential.